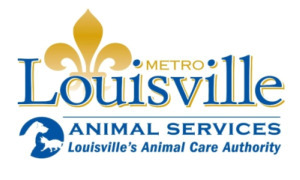 Louisville Metro Animal Services recently received a $40K grant from PetSmart Charities, the leading funder of animal welfare in North America, to help reduce the pet population in Jefferson County. LMAS is using the grant to offer spay/neuter vouchers to Jefferson County residents, which can be redeemed at any Jefferson County Veterinary office or the Kentucky Humane Society SNIP Clinic. By offering assistance for discounted spay/neuter surgeries, LMAS will increase in-house surgeries (2,700 in 2017) and those performed by outside providers. The voucher not only encourages responsible pet ownership, it helps reduce uncontrolled breeding of stray cats and dogs and allows LMAS to be proactive about future shelter overcrowding. Female cats can breed up to four times a year and have an average of 4 kittens per litter. In just 7 years, an unspayed female cat and her offspring can produce 420,000 kittens; an unspayed female dog and her offspring can produce 97,000 puppies. With the grant from PetSmart Charities, LMAS can cover the entire cost, or provide a significant discount on spay/neuter surgeries for up to 400 cats and dogs in Jefferson County! The voucher covers up to $100 of the cost to spay/neuter a cat or a dog. Vouchers can be obtained at the LMAS Animal Care Center located at 3705 Manslick Rd. Monday-Friday between 12-6pm, or Saturdays 11-2pm; or at Animal House Adoption Center located at 3516 Newburg Rd. Tuesday-Sunday from 12-6pm. For more information about how to obtain a spay/neuter voucher from LMAS, email animals@louisvilleky.gov or call 473-PETS.